Inhabitants in Holguin are already talking about the Music Museum, an old dream of performers, composers, musicologists, researchers and supporters of this art in the territory. The well-known Rey del Doble Sentido, Faustino Oramas, one of the major supporters of this project, granted his home for such purposes. Members of El Guayabero group want the museum to open next year as a tribute to Fautino Oramas that would have turn 100 years old, and name under which the museum will be known. 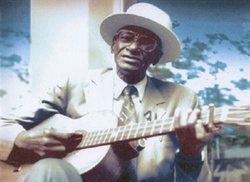 Musicologist Ana Luisa Tamayo and resercher Zenovio Hernández are already looking for materials to be part of a collection related not only to the life and work of El Guayabero, but also from other musicians and families of others prominent musicians in one the eastern regions of Cuba, Holguín.